As a huge fan of their Amrezy Palette (review HERE), when I saw that Anastasia had teamed up with another Instagram Makeup Artist (Tamanna of Dress Your Face) to create the Tamanna Eyeshadow Palette I knew I had to have it. 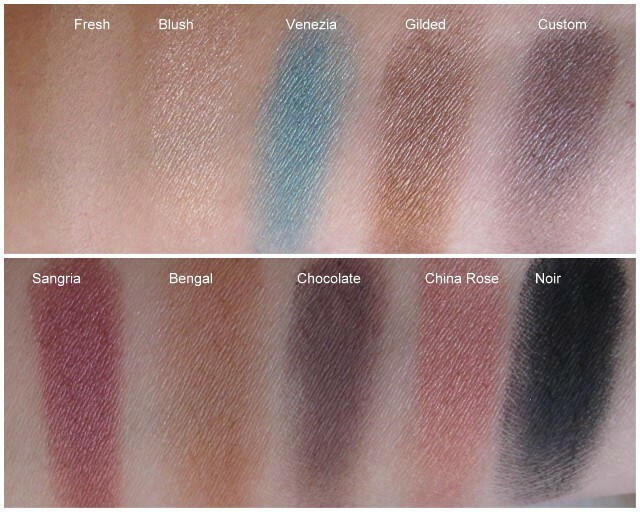 While the Amrezy Palette is made up of warm shades, the Tamanna Palette has a mix of warm and cool, but the colours that really grabbed me were the turquoise (Venezia) and the shimmery peach (China Rose). Overall I really like the palette, the colours are all very wearable however in terms of quality the Amrezy is better. I found the Amrezy pigmentation stronger, and the colours easier to blend whereas with the Tamanna palette some of the shades you really need to work on to get them to show up. Here is a close up of the palette and some swatches. The other two things I picked up were the Dipbrow Pomade in Medium Brown and the brow brush #12. I already own the Dipbrow Pomade in Dark Brown but I find it a bit too dark for me hence getting the slightly lighter tone. However it's not as light as I was hoping for, in fact swatched side by side with the Dark Brown they're very very close. You can read my original review of the Dipbrow Pomade HERE. The #12 brush is the standout item. The spooly on one end makes it easy to brush my brows into place and the thin slanted brush on the other end makes it easy to apply the pomade. Highly recommend it. The swatches look identical for some reason, but in real life there is a slight difference in colour. You can buy all of these direct from the ABH Website which has international delivery. The palette is US $29, the Brow Pomade is US $18 and the Brush is US $12. 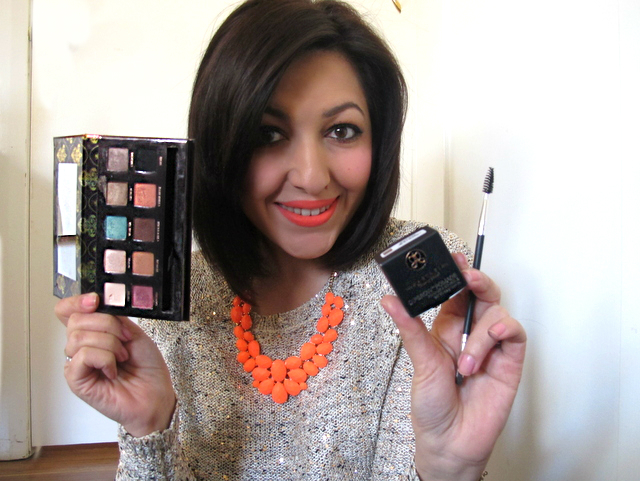 Have you tried anything from Anastasia Beverly Hills yet? I totally love the palette! Wow yeah the two pomade shades are very similar! That's a bit unfortunate that it's not as light as you'd like. Reasons why I wish we could purchase her products in store! The Amrezy palette does seem really nice, I think I would get more use out of those shades than in this palette. Yeah I wish there was more of a difference between the brown and dark brown pomades but that's ok I'll still use the dark brown anyway, was just hoping for something lighter. And yep, totally with you in that I would rather have them stocked in a store here! Your make up looks gorgeous I love the look of the palette! I think I might have to purchase the Amrezy pallette. I have heard so many good things. Yeah it's not bad is it? There's even tracking available but it IS expensive postage, like $18! You've completely sold me on the eyeshadow palette. Love the colours! !